Cloud vs. Colocation vs. Hybrid Cloud: Which Is Best for Business? As the servers that power your business continue their march out of the office in favor of cloud services and dedicated remote facilities, you may soon find yourself wondering why you ever hosted your own servers locally. Before you can move your systems and files offsite, though, you’ve got to contend with a tough decision: to use a service for distributed cloud-based servers, or migrate to a shared “colocation” facility - or a mixture between the two. Before we get into all of the factors to consider when making this decision, though, understand no matter which direction you opt for, you can’t necessarily go wrong. In some situations, the cloud might make more sense, and in others, a colocation facility may be somewhat better. But either way, any move that involves taking your servers off-premises is a good move. With today’s fiber optics-enabled connection speeds performing as amazingly as they do, it sometimes doesn’t make sense to keep your servers in your office. The conditions that are best for people to work are hardly the same as those for servers to operate seamlessly. The temperatures are different, the thresholds for jostling are different, the air cleanliness needs are different – and the list goes on. Power needs to be on all the time and connectivity must be maintained in order to keep operations going. So how should you go about deciding on using a shared facility or using a cloud service? The right model for you really depends on your business and your computing needs. Consider the following pros and cons, and apply them to your company’s specific operational requirements when it comes to data. If you choose colocation, you’ll retain a significant amount of control over the hardware that stores your data. This is the primary differentiating factor of colocation. You are also likely to retain ownership of and maintenance control over your infrastructure. What you share with the other colocation tenants includes the cost of electricity (and other power sources, as applicable), cooling (don’t forget that the servers themselves require low temperatures), fiber and communication equipment and the overall physical plant. If your organization’s data requires extra vigilant security, then you may appreciate the level of control that colocation affords. Cloud services do have their stringent security provisions, but for many, just knowing exactly where all of your drives are physically situated is a major advantage for colocation. 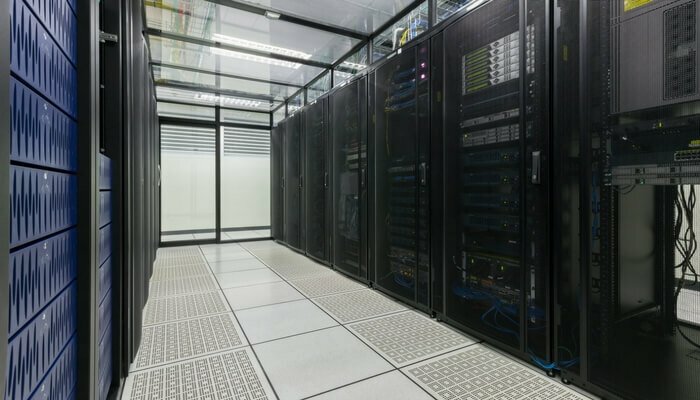 Even if you don’t need to retain control of your equipment, though, colocation may prove valuable to you. Some experts believe that eventually, all corporate data will head to the cloud, but for many in the business community, moving your company’s existing servers offsite is a significant first step. The very capacity of a colocation center is so much greater – for power, bandwidth, cooling and, of course, space – that the larger setting may simply be the easiest way for you expand beyond the confines of your office. The disaster prevention and recovery systems at a colocation center should likewise give you confidence in this model. Cloud-based virtual servers are remarkably different, both conceptually and practically, from the server stacks for which you’re most familiar. For starters, when you move your data to the cloud, you essentially move past the notion of a physical plant. Yes, there are, of course, actual servers that will store your data in the cloud, but they are distributed around the world and fully out of your hands. Their maintenance is the sole responsibility of the professionals you retain for cloud services. This approach is the most inexpensive and versatile of them all, and the main factor that renders it so cost effective is that your server maintenance and security needs are taken care of by the provider. For many companies, this advantage is reason enough to opt for cloud services. You also might like other ways the cloud grants you flexibility – scaling up and back as required, giving your IT staff the time and leeway to address your other computing needs. Cloud services are not the perfect solution for every situation. This is especially true if the industry in which you operate requires that extra level of data privacy, so as to comply with regulations by HIPAA, PCI DSS, certain financial mandates and the like. The high standard of cybersecurity required by these regulatory agencies indicates that you may benefit from the higher level of personal involvement afforded by colocation. If you do choose cloud services, make sure that your provider doesn’t disappear into the ether at certain hours – make sure your service level agreement (SLA) calls for 24/7 support. The cloud may feel cutting-edge and, therefore, attractive – or, for some, intimidating – but at the end of the day, you’ll want to weigh the pros of cons of colocation and cloud services for the specifics of your company’s needs. Atlantech offers both cloud and colocation services to many clients in the Washington DC metro area, and providing top-tier customer support is of paramount importance to us. If you would like to talk to us about your business goals and requirements when it comes to moving your servers off-premises, we are happy to assist you with every step of this complex process. What About a Hybrid Cloud Option? Hybrid cloud can represent the best of both worlds, allowing organizations to carefully manage costs. As of 2016, 88% of organizations are familiar with the idea of hybrid cloud and 68% are using it or have plans to use it in the near future. In this blog, we'll present some facts about the state of hybrid cloud to help you decide whether it's right for your organization. With cloud adoption nearing 90%, some common challenges for enterprise IT managers have begun to emerge. CIO reports that for the average cloud project, the biggest challenge (and budgetary drain) is integration. Hybrid cloud is an IT environment that's built for lasting integration and cooperative technologies. Selecting a cloud vendor that offers open solutions that enable fast, cost-effective integration is key to a positive experience. When done right, hybrid cloud can prevent many long-term integration woes. Gartner's Hype Cycle is a famous resource for the latest technology buzzwords, many of which will never have much impact on how enterprises actually work. Some of the latest jargon on the 2016 Hype Cycle index include 4D printing, smart printing, and SDx (software-defined anything). It remains to be seen which of these technologies will pop and fizzle and which will actually stick. However, in case you're concerned, hybrid cloud is definitely not a fleeting buzzword or expensive trend that's going to disappear in six months. Recent research by the U.S. government indicates that for 62% of surveyed organizations, there is no plan to ever leave a hybrid cloud model. A mix of on-premises and managed deployments simply makes sense for most organizations. 3. Hybrid Can "Burst" — and That's a GOOD Thing! Hybrid cloud is built to enable "cloud bursts" on an as-needed basis. This concept is defined as when an application in a private cloud reaches capacity and "bursts" onto public cloud resources to expand computing capacity when necessary. Not only does this concept prevent crashed applications and angry end-users, it also saves money. Typically, organizations only pay for the resources they need based on the frequency or length of "bursts." In 2016, the average enterprise is using six separate cloud services and vendors. Forbes' Joe McKendrick predicts cloud relationships will only become more diverse in the years to come as organizations become more comfortable with hybrid deployments and face pressure to more aggressively manage costs. For many enterprises, establishing a direct connection to a cloud exchange provider like Equinix can enable new business agility and cost-savings by allowing organizations to add and subtract cloud services in real-time. The era of legacy software licensing is officially over, and I think we can all agree that's a move in the right direction. To learn more about Atlantech's unique relationship with Equinix and how it can benefit your organization, check out Atlantech is the First to Offer Differentiated SIP via the Equinix Exchange. 90% of organizations are still using legacy applications, and 44% of enterprises say their legacy systems have an impact on virtually every project. Culture, leadership, budget, resources, and other factors can all impact the speed at which IT portfolios shift. If you're one of the majority, hybrid cloud can support your need to transition away from legacy applications on your own time. In fact, it can even enhance your ability to derive value from these systems through smarter integration with cloud-based apps. Over the past several years, agile has gone from a radical secret of software development teams to a model of business operations that's beloved by C-level executives. Research by McKinsey confirms that the most agile organizations are also the best-performing and most profitable. Hybrid cloud enables true agile IT. When last-minute IT requests roll in, teams can choose from distributed and varied resources to determine the fastest approach to problem-solving. With the right hybrid solution and vendors, you'll never again be limited by your cloud resources. Organizations are increasingly adopting internet of things (IoT) technology. 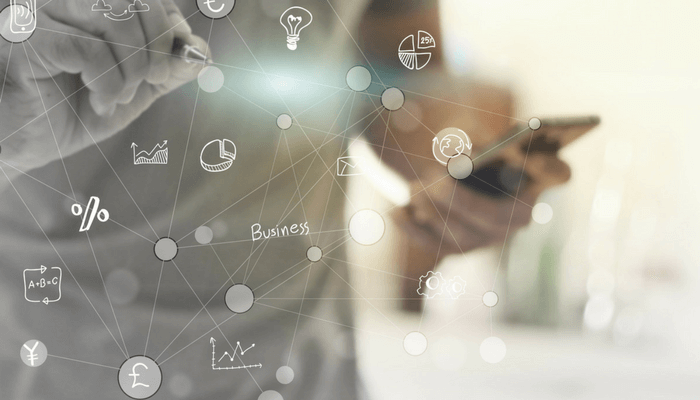 Gartner predicts that by the end of the year, 43% of organizations will be using sensors, smart meters, and other forms of connected devices. Hybrid cloud deployments are uniquely equipped to handle the incredible amount of flexibility and speed needed to support IoT deployments. Companies with the ability to provision resources on-demand can not only support IoT devices but can capitalize on the rich data they generate. Do you ever feel like you don't know your environment? Switching to hybrid cloud with the right vendor can allow real-time oversight into available assets and the ability to make smart, real-time decisions about provisioning. This oversight can increase security and performance. Hybrid cloud can enhance your ability to achieve true business continuity planning at a price within your range. Depending on the vendor you select, you can gain immediate access to secure cloud storage with incredible redundancy. Even your privately-hosted cloud can benefit from off-site replication within a hybrid model. Is Hybrid Cloud Right for My Organization? Making the leap to hybrid cloud can equal cost savings, increased scalability, flexibility, oversight, and other remarkable benefits for your enterprise. If you're trying to decide whether public or private cloud is best, the answer could be somewhere in the middle. Atlantech Online is a leading provider of unified business communications services, including data center and cloud services. We specialize in compliant, dedicated virtual and physical servers and other custom solutions. To speak with an Atlantech representative today, click here.